If you’re tempted with a last minute getaway and need some New Year’s Eve accommodation, we’ve got the perfect solution. There’s something about a New Year break that makes the occasion bigger, better; more exciting. A unique place to stay with loved ones or friends and the thrill of fireworks. At Beds on Board we know that the best way to see spectacular New Year’s Eve firework displays in waterside locations, is from the deck of a boat. Stay on a boat and watch as the reflection of the fireworks over the water doubles their impact. Best of all, when you’ve finished partying you can just step down into your cabin and you’re home. How to stay on a boat? It’s never been easier. 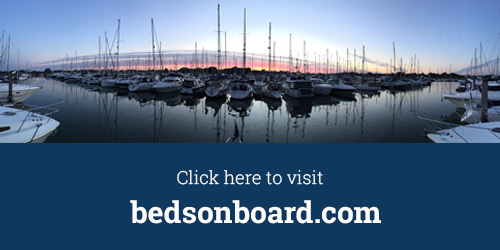 Beds on Board puts you in touch with boat owners who rent out their cabins in some amazing locations. What’s more, we still have boats available over New Year 2016/17! Edinburgh’s Hogmanay is one of the world’s best new year celebrations. Join the Hogmanay Street Party amidst the backdrop of Edinburgh Castle. Enjoy live music, entertainment, and outdoor bars before marveling at the midnight fireworks and joining in a round of Auld Lang Syne. As Big Ben strikes 12 the fireworks begin, many being fired from barges moored in the river’s centre, leading to an iconic, and what is claimed as the UK’s biggest, annual display. The Spanish know how to throw a fiesta and Palma will once again host a street party with music, bands, light shows, festivities and fireworks at 12. If you don’t fancy being on board, head to Passeig del Born to be in the heart of the action. Where better to see in the New Year than with fireworks in the fabulous World Heritage Site harbour? This year’s celebrations are being organised by the Valletta 2018 European Capital of Culture Foundation. Every year, Montjuïc’s Magic Fountain is the chosen site for the “Piromusical”, a huge firework display with a music and laser show, which is the closing event for Barcelona’s main festival, La Mercè. In Rome’s Piazza del Popolo, the Italians celebrate with rock, classical music and fireworks, dancing well into the night. Or head to the Colosseum on Via dei Fori Imperiali or to the square in front of the Quirinale, off Via Nazionale – both also have live music and fireworks at midnight. Book your New Years Eve accommodation and stay on a boat in one of 40 countries across the world. Experience a unique celebration on a luxury boat with friends and family this year.